As a senior in high school, Tailor took Pacific’s Pacesetter Scholarship exam and earned a full-tuition scholarship to Pacific University for all four years. Tailor is involved in Rotaract Club, Tour Guide Club, English Club, Climbing Club and has studied abroad in Trinidad & Tobago and will be going to Ireland in the Spring. 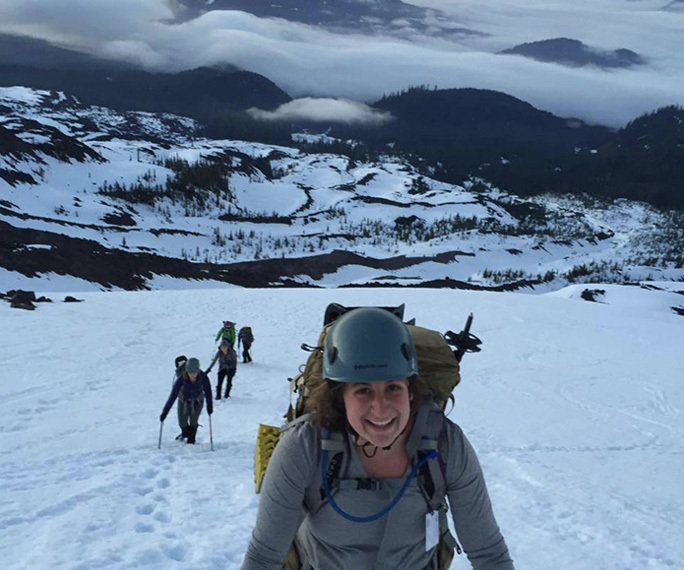 When she is not on campus, you can find her leading rock climbing, backpacking, and mountaineering trips through Pacific’s Outdoor Pursuits program. After graduating, Tailor plans to earn her doctorate in English Literature and become a professor.